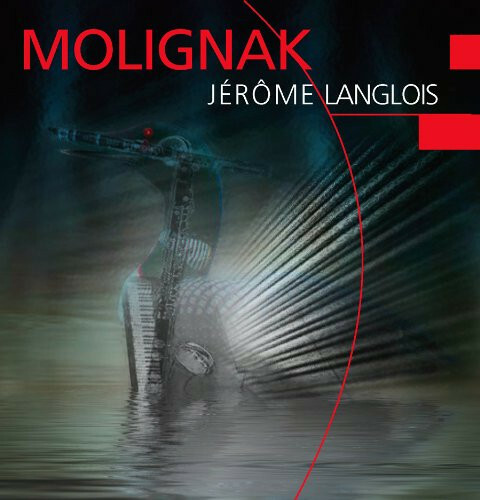 Those looking for melodically colorful transcendental rock with a strong orchestral twist may find something very special and unique in Molignak, the first solo album by Jérôme Langlois, once keyboardist and reed player in the initial 1975 lineup of Canadian band Maneige. The music here touches elements of pop, folk, classical, avant-garde, rock, world ethnic, and even hints of jazz, but it truly eschews classification with any of these. Most importantly, the compositions and playing are full of vibrancy and convey a wide range of emotions, varying in degree and intensity from track to track. Predictably, Langlois handles clarinet and piano duties, plus electric guitar; he is joined by other musicians on clarinet, bass clarinet, violin, electric and acoustic bass, and a variety of percussion. The latter is provided by Gilles Schetagne (also ex-Maneige), whose orchestral playing – along with bassist Mario Légaré breathes imagination and spirit into the bottom end of the sound, and supports the overall effort brilliantly. There are no vocals here to get in the way of the music, which stands well on its own, driven by the strong up-front melodic presence of the reeds, gorgeous piano flourishes and emotive violin. This is music that goes way beyond any comparisons, truly in a class by itself.